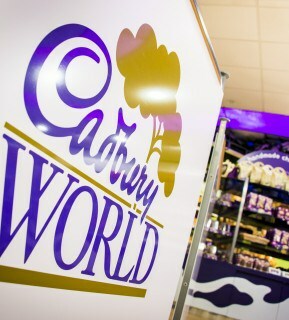 We won a pitch to design, develop and install the World’s largest Cadbury Shop at Cadbury World, Birmingham! 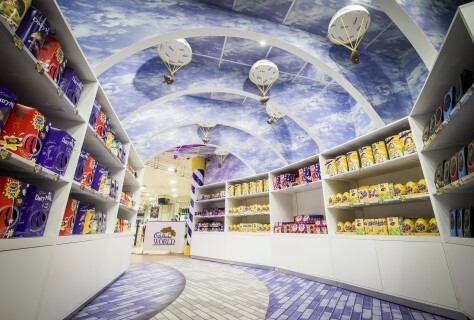 The main objective was to create a concept store bringing the Cadbury factory theme in the retail space to give an emotive feel to store so customers are on a fun, chocolate journey from the moment they enter the building till they leave! 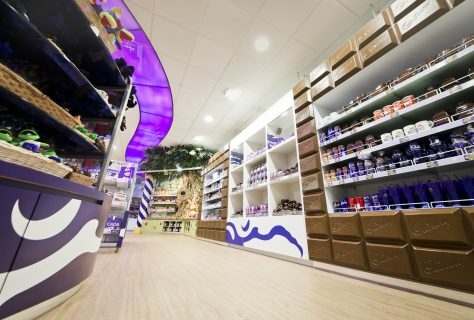 We introduced clever zoning throughout the store and interaction points enhance the shopping experience. 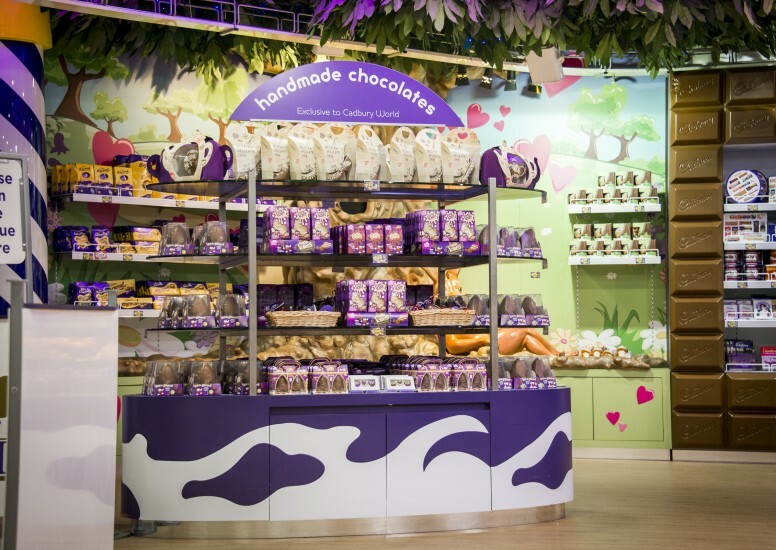 The chuckle bean character has been strategically placed at various touch points throughout the store to add personality to appeal to shoppers of all ages! 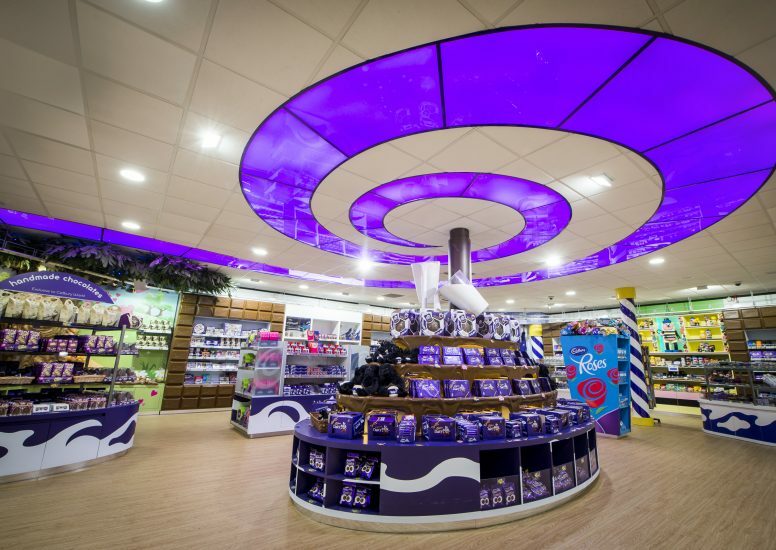 The bold colour palette and 3D elements add depth and help continue the story of Cadbury World. 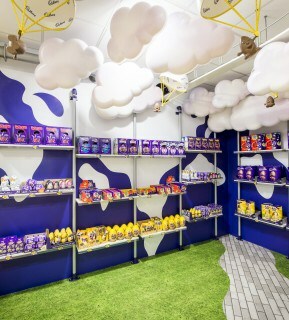 This was a great project to work on and we were involved in the whole process from design, development to artwork, installation and project management on site to ensure our concepts were translated to completion. We are going to miss the constant supply of chocolate which came back from every trip to the site!